Please read these Terms and Conditions. If you do not agree with them, please do not use this website. This website stdavidschurchexeter.org.uk is owned and managed by The Parochial Church Council Of The Ecclesiastical Parish Of St David With St Michael And All Angels, Exeter, Registered Charity no. 1135766. For the purposes of these Terms and Conditions, ‘us’ ‘we’ and ‘our’ refer to The Parochial Church Council Of The Ecclesiastical Parish Of St David With St Michael And All Angels, Exeter. Your use of this website constitutes your acceptance of these Terms and Conditions, and your conduct indicates that you agree to be bound by them. This website is intended to provide information about the activities of St David’s Church and issues relevant to its objectives. We make every effort to ensure that the information on our website is up-to-date and correct, but we cannot guarantee that it is 100% free of inaccuracies, errors or omissions. We are not responsible for ensuring the availability of this website, or the timeliness or otherwise of any content or information. Any decision made by users on the basis of information on our website, is the responsibility of the user. We do not accept liability (as far as permitted by law) for any loss arising from any use of or reliance on information or links included in this website. Nothing in these Terms and Conditions shall exclude or limit the liability of The Parochial Church Council Of The Ecclesiastical Parish Of St David With St Michael And All Angels, Exeter, for death or personal injury caused by its negligence or for fraud or fraudulent misrepresentation or for any liability which cannot be excluded or limited by law. The Parochial Church Council Of The Ecclesiastical Parish Of St David With St Michael And All Angels, Exeter, reserves the right to replace or modify these Terms and Conditions and any linked policies at any time without notice. Your continued use of the website after any such replacement or modification constitutes acceptance of the relevant changed or new Terms and Conditions. You will be responsible for all losses or damages we suffer (including our reasonable legal fees) that are caused by your breach of these Terms and Conditions or by you using the website. These Terms and Conditions are subject to English law. All claims or disputes arising out of or in connection with the use of the websites shall be subject to the non-exclusive jurisdiction of the courts of England and Wales. Copyright, trademarks and all other intellectual property rights on this website are either owned by or licensed to The Parochial Church Council Of The Ecclesiastical Parish Of St David With St Michael And All Angels, Exeter, unless otherwise stated. Compliance with copyright law is your liability. You may reproduce The Parochial Church Council Of The Ecclesiastical Parish Of St David With St Michael And All Angels, Exeter, copyright material appearing on this website free of charge without specific permission for private personal use only, as long as the copyright and source indications are also copied, the content is not amended in any way, and is not reproduced in a derogatory or misleading manner or context. 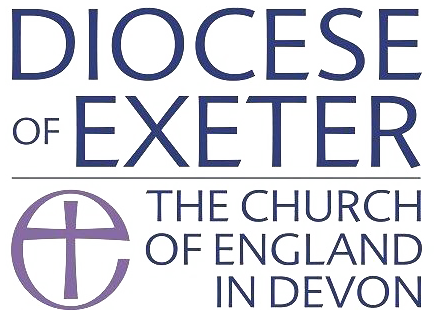 No copying or distribution for any commercial or business use is permitted without prior written consent from The Parochial Church Council Of The Ecclesiastical Parish Of St David With St Michael And All Angels, Exeter. Our permission to reproduce copyright material does not extend to any material on this website that is the copyright material of any other person. (iv) you shall take all reasonable precautions to ensure that the use and existence of the link does not cause the transmission to any The Parochial Church Council Of The Ecclesiastical Parish Of St David With St Michael And All Angels, Exeter, website of viruses or any other harmful programs.